AZ Maria Middelares, located to the south of Ghent, in East Flanders, is easily accessible by both car and public transport. It is a medium-sized institution with 542 authorised beds and 99 beds for day patients. AZ Maria Middelares is a very efficient hospital, innovative yet proud of its warm human face. Constantly monitoring advances in science, it offers high-tech healthcare alongside basic care. The hospital’s high-quality care is safeguarded by its profound appreciation of the personal investment of all its doctors and staff. Additionally, AZ Maria Middelares aims to broaden its horizon, breaking through the walls of its immediate environment. This is reflected not only in the constructive dialogue pursued with general practitioners, but also in the great value the hospital attaches to its collaboration agreements with its (international) partners. The services and disciplines, which have forged the reputation of AZ Maria Middelares and continue to do so today, include cardiology and heart surgery, its Ophthalmology Centre, its integrated Cancer Centre, physiotherapy (with interactive programmes and a spinal unit) and its Foot Centre, which is the biggest in Flanders. Its constant striving for quality was rewarded in 2016 when it was accredited by the American JCI (Joint Commission International). AZ Delta Roeselare, the biggest hospital in West Flanders, has 1417 beds, spread across 5 sites: three in Roeselare, one in Torhout and one in Menen. By the end of 2019, when the new phase of construction which is currently underway is scheduled to be finished, the institution will only have 4 sites, although the number of beds will still be the same. The institution prides itself on being driven by values of friendliness, collegiality, positivity, respect and honesty. AZ Delta Roeselare is a hospital which strives to set a benchmark in terms of quality, caring for any patient entitled, and talking to the patient and everyone involved in care-giving, while constantly developing and improving. AZ Delta Roeselare is particularly famed for orthopaedics and rehabilitation on the one hand, and cardiology on the other. AZ Groeninge, which has over a thousand beds (1054, to be precise), is located in the south of West Flanders, close to the French border, 30 km from Lille. The institution strives to place the patient at the centre of the care process. The values which drive it are first and foremost respect and trust (via a participatory model), transparency, open communication, accessibility of care, listening, receptiveness and diversity. Digital health and Big Data are two particular priority areas here. Indeed, since 2012, AZ Groeninge has been implementing an integrated computerized patient record right across the hospital. It seeks, via the data collected, to deliver greater patient safety and quality of care. As a supra-regional care centre, it hopes in this way to set the standard in terms of digital innovation. Finally, in 2013, AZ Groeninge became the first Belgian non-university hospital to secure the International JCI (Joint Commission International) accreditation. This rating is awarded for three years, and the hospital was awarded a second accreditation in 2016. Antwerp University Hospital (UZA), with its 573 authorised beds, lies in the south-west of the province of Antwerp. 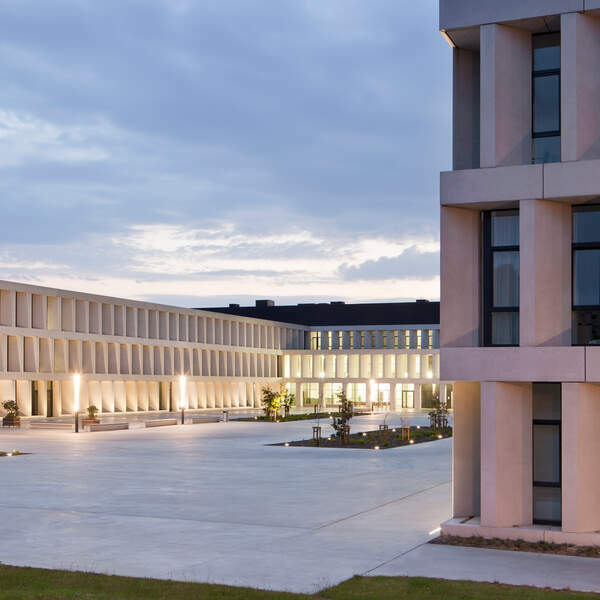 It is an academic centre for leading clinical and customer-friendly patient care, high-quality academic education and ground-breaking scientific research with a major international dimension. It is one of Belgium’s seven university hospitals. UZA focuses on clinical scientific research, based on a large biobank. In clinical terms, the hospital enjoys wide renown for its treatment of oncological and haematological complaints and cardiovascular diseases, and its mother and baby unit, and both clinically and scientifically, the hospital is supported by a broad medical genetics platform. 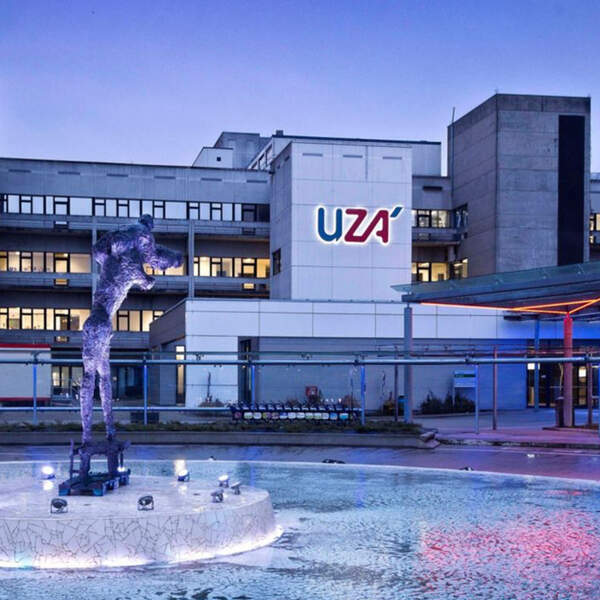 The particular values driving UZA are a focus on results and cooperation, loyalty and integration, and a sense of responsibilities and reality, coupled with a constant striving for quality, as may be seen from the fact that it secured the American JCI (Joint Commission International) accreditation for the first time in 2015 and then again in July 2018. It is the first European hospital recognized as a Magnet Hospital, the highest standard in nursing care. 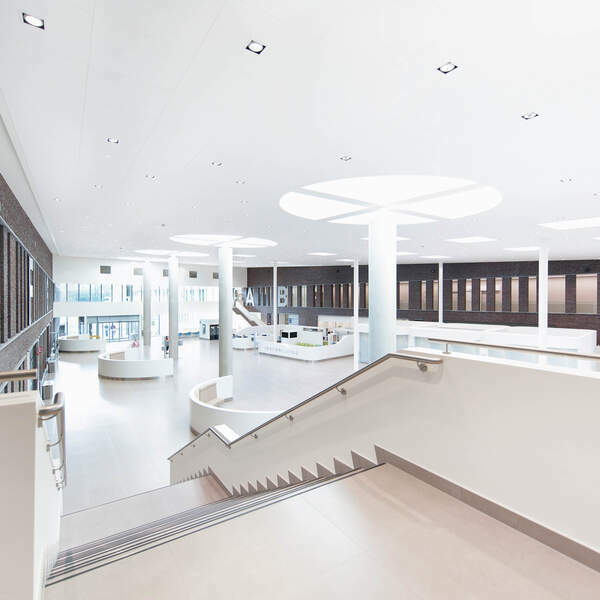 AZ Zeno is a medium-sized hospital with 334 authorised beds, spread across three sites, on the Belgian coast, including the brand-new site at Knokke-Heist, which opened in March 2018. Under the slogan ‘This is not a hospital’, AZ Zeno is innovating, with its new construction marrying the highest technology with a unique architectural design and aiming to deliver the best level of comfort for patients and staff alike. It is very different from a traditional hospital in that it combines a green setting among the polders with a warm, optimistic interior, bolstering a feeling of well-being among the workers and helping patients to heal. The values that drive it include a warm welcome, competence and innovation, all in support of the sole purpose of offering patient-based care. AZ Zeno plans to offer high-quality care to the people living in the region, as well as tourists. The institution has recently been awarded the NIAZ-Qmentum quality label. 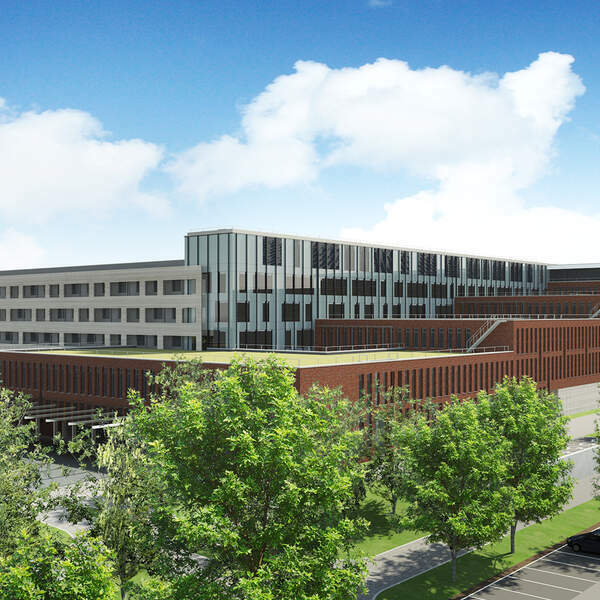 The AZ Delta Chirec hospital group is based around three hospital sites: one site in Walloon Brabant, in Braine-l’Alleud – Waterloo (287 beds) and two sites in Brussels: Ste-Anne St-Remi in Anderlecht (327 beds), plus the brand-new Delta hospital (438 beds), which opened in December 2017. 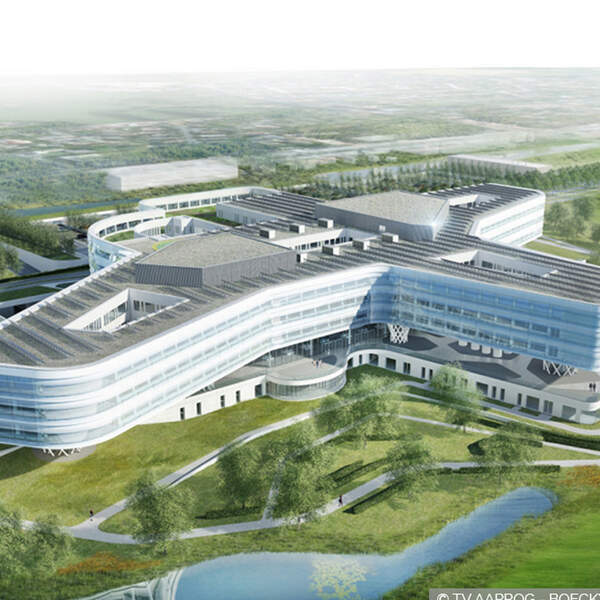 Delta is the first new hospital to be built in the Brussels region for no less than forty years. So its opening was a major event. The new site has been designed to be hyper-functional for doctors and staff alike: flexible, with simple pathways and short distances, and planned to give both patients and staff the maximum comfort and light. Sitting at the leading edge of technology, Delta’s facilities include 28 entirely digital operating theatres, which offer the possibility of monitoring surgical operations live from any conference room in the world. 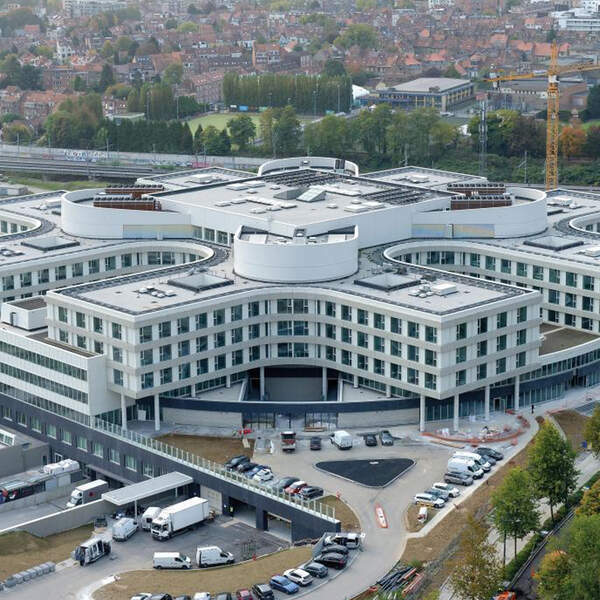 However, CHIREC has also been careful to retain neighbourhood bases, with two day hospital sites in Brussels (Cavell and Basilique) and three medical centres in Brussels (Parc Léopold, City Clinic CHIREC Louise, Europe-Lambermont) and one in Walloon Brabant (Jean Monnet). The group provides treatment across all medical/surgical areas, except for heart surgery and interventional cardiology, but it owes its particular reputation to its ophthalmology, its Bariatric Surgery Centre, its musculoskeletal facility, its assisted fertilisation centre and the Chirec Cancer Institute. Its philosophy is to offer all its patients top-quality healthcare and personalised medicine in line with a coordinated multidisciplinary approach.